2) Glocken aus Moskau ... "Woskreseniye Twoye Christe Spase ..."
MOSCOW Bells ... "Christos Voskrese !" 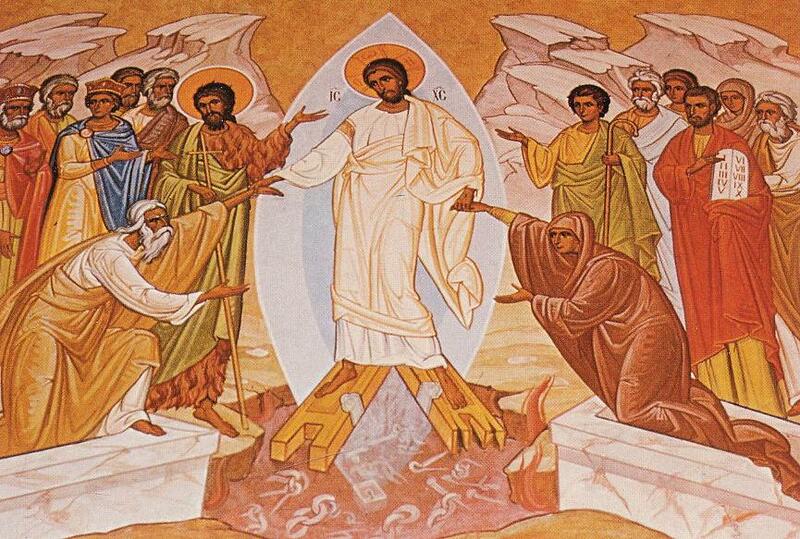 Glory to the Holy Trinity - Christ has risen! 4) Glocken aus Moskau ... "Slawa... - Christos Woskrese !" SOFIA (Bulgaria): "Hristos Vskrese" Christ has risen ! 5) SOFIA(Bulgarien): "Hristos Wskrese" Christus ist auferstanden ! BARCELONA (Catalunya,Spain): TURCHANINOV: Tropar de Resurrecció in CATALAN language: "We have seen thy resurrection"
7) BARCELONA(Catalunya/Spanien): "Deine Auferstehung haben wir gesehen ..."
Orthodox approach to God comprises all our positiv talents and adresses all our senses. So from the beginning ICONS where in the center of our homepage, ... but still ... making an Internet page on Orthodoxy without you being able to hear our choirs SINGING OUR PRAYERS gave us a lot of thoughts. From now on we will always try to have the necessary sung prayers (only abreviated called "music") for the season. Orthodox Fraternity in Germany e.V.